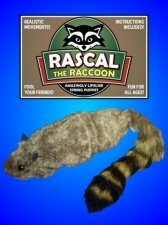 This life-like spring animal can build a reputation for you in an instant! He eats from your hand, sits up, nods "yes" or "no", jumps from your hands and even "boogies!" Instructions included that will have you amazing your friends with their life-like antics in no time.